Trucks Entering Highway - Wanco Inc. The Trucks Entering Highway Warning System is a portable, automated, real-time system that notifies drivers when construction vehicles are leaving a worksite and entering the highway. This intelligent traffic system acts as a precautionary measure to keep drivers and construction workers safe by avoiding potential collisions. 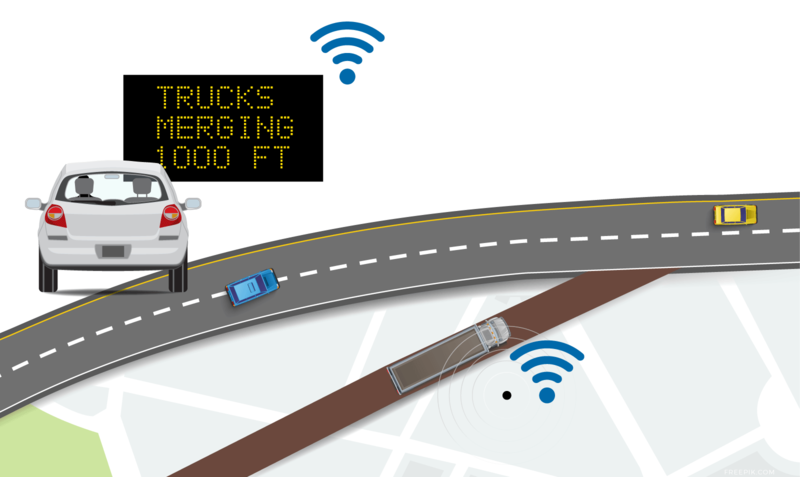 This dynamic messaging system uses roadside sensors to transmit real-time information to drivers via changeable message signs or flashing warning signs. The signs are located far enough up the road so drivers approaching the work zone have enough distance to slow down before they reach the merging traffic. Wanco has partnered with PDP Associates Inc. to provide ITS solutions for implementing, managing and operating 21st century transportation systems. PDP is a premier Smart Work Zone and Portable ITS company with a history of more than 20 years providing high quality, reliable systems. Together we work to ensure your safety both on and off the road.